Flourishing farms, healthy forests, clean, clear rivers running free from the mountains to the ocean. Good paying jobs. Thriving rural and urban economies. Healthy, affordable, delicious local food on our tables. Just, equitable, diverse, and vibrant communities. Sound about right? This is our vision. And at Ecotrust, we are working alongside you to make this vision real every day. 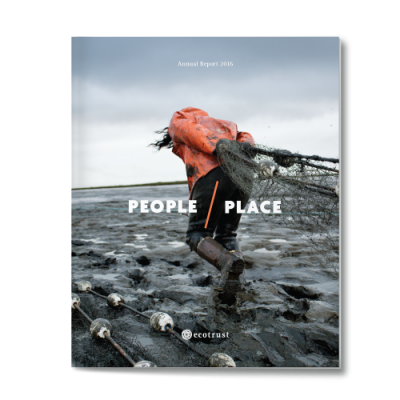 Download our annual report to read the encouraging stories of the work we are doing together to leave the place we call home a little better than we found it.